VTV.vn - Miss Universe Vietnam has won the world’s Timeless Beauty of 2018 title, becoming the first Vietnamese to do so. 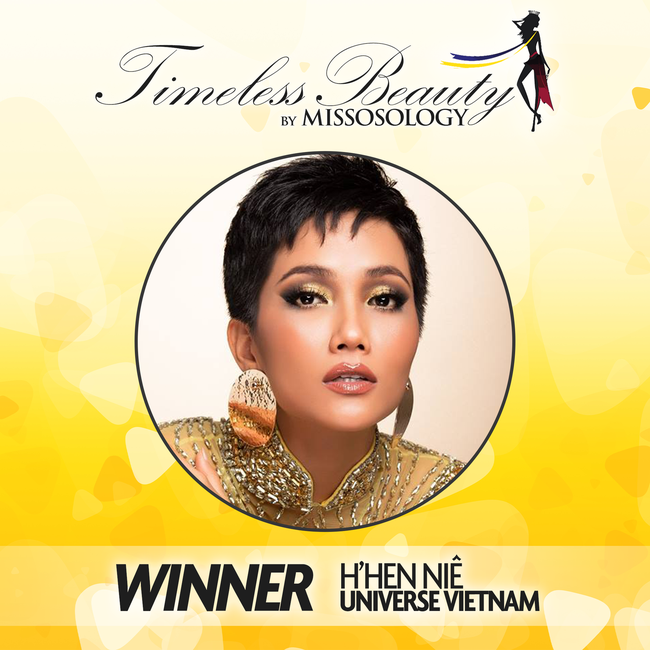 Beauty pageant forum Missology.org named H’Hen Nie as the winner on January 28, after she topped the shortlist of ten beauty icons worldwide with 4,576 points. H’Hen Nie is the first Vietnamese beauty and third in Asia to claim the title since it was instituted in 2004. H’Hen Nie was evaluated against several criteria including her appearance, performance in a competition (Miss Universe), and worldwide influence.